Decisions can be influenced by advance knowledge about the alternatives at hand: People tend to choose faster and more often for alternatives that are more likely to be correct or more likely to be profitable. How the brain makes these biased decisions is a central issue in neuroscience. 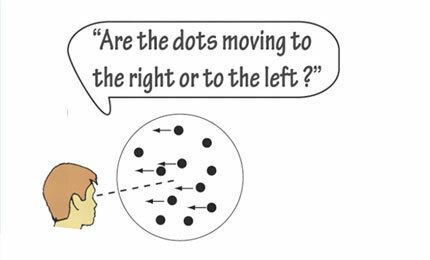 We investigated with functional MRI how the brain biases decisions for two different types of prior knowledge: 1) knowledge about the likelihood that an alternative will be the correct one and 2) knowledge about the payoff that is associated with an alternative. We used an ‘accumulation-to-bound’ model to investigate whether bias in choice behavior is similar for the different types of prior knowledge. We found that both types of prior knowledge results in a shift in the starting point of the accumulation process towards the direction of the most likely or most valuable alternative. This results in more and faster choices for that alternative. Imaging results showed that regions of the frontoparietal network are involved in changing these starting points for both manipulations, suggesting a common mechanism underlying the biasing effects of prior knowledge. Martijn J. Mulder, Eric-Jan Wagenmakers, Roger Ratcliff, Wouter Boekel, Birte U. Forstmann (2012). Bias in the brain: a diffusion model analysis of prior probability and potential payoff. Journal of Neuroscience 32(7):2335-43.